In a statement released Tuesday, Fox News said that it did not approve of Sean Hannity’s appearance at a rally hosted by President Donald Trump in Missouri on Monday. 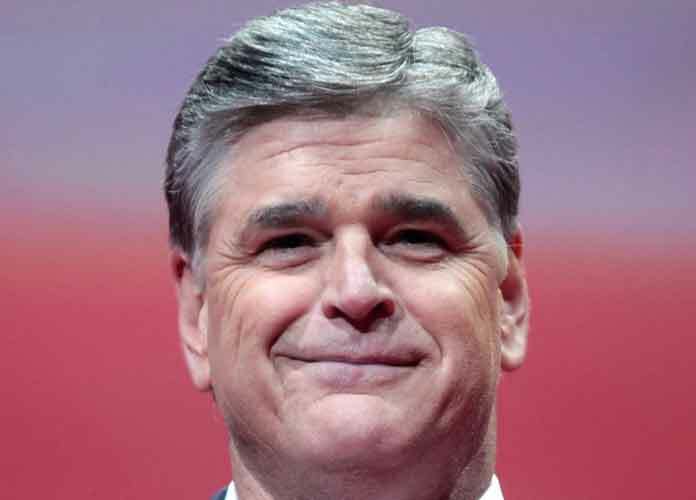 Sean Hannity, host of Hannity on Fox News, appeared at President Trump’s final rally before election day in Cape Girardeau, Missouri, speaking briefly on stage about the president’s achievements and the Republican agenda going into 2019. In a tweet posted before the rally, Hannity wrote that he would be interviewing Trump before the event, but would not appear on stage. But at the event, President Trump called the Fox News host on to the stage, embracing him and ushering him to the podium to speak. The press release has since been deleted from the campaign’s site. “By the way, all those people in the back are fake news,” Hannity said, gesturing towards the media section after Trump called him on stage. Pirro commented on the economic improvement under Trump, and urged Republicans to head to the polls Tuesday. “People throughout the company think a new line was crossed,” said a senior Fox News employee told CNN. Another senior Fox News worker told CNN that they were “aghast” at Hannity’s appearance at the political event.